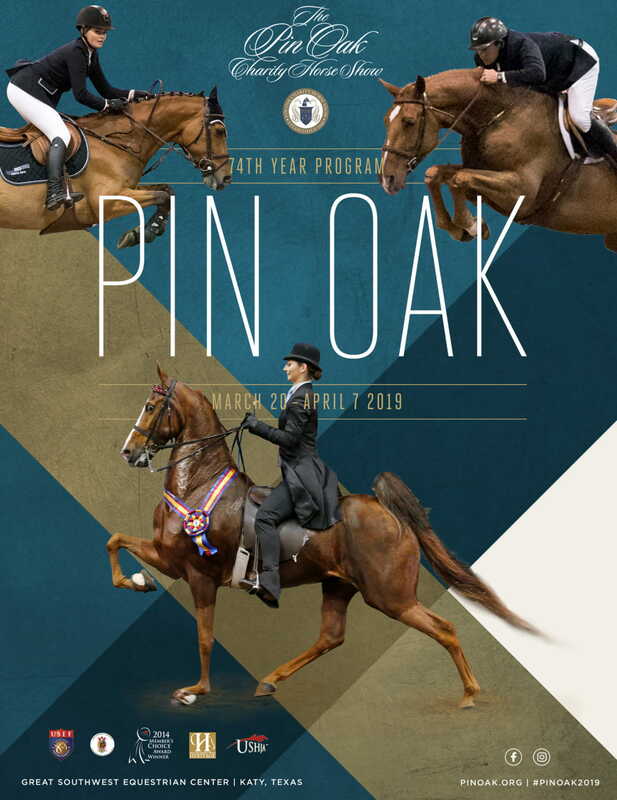 The Pin Oak Charity Horse Show is a multi-faceted event whose participants, competitors and visitors alike, are drawn from many highly lucrative target markets. As a Pin Oak Corporate Sponsor, your brand is presented to those markets in a very visible and beneficial way. 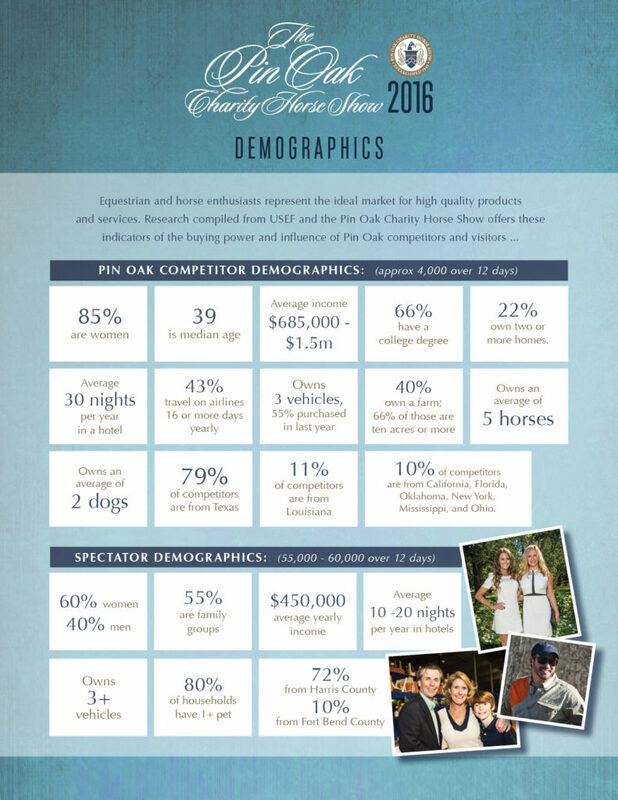 Click on the image below to see view a breakdown of the demographics you can expect to reach through sponsorship of the Pin Oak Charity Horse Show. 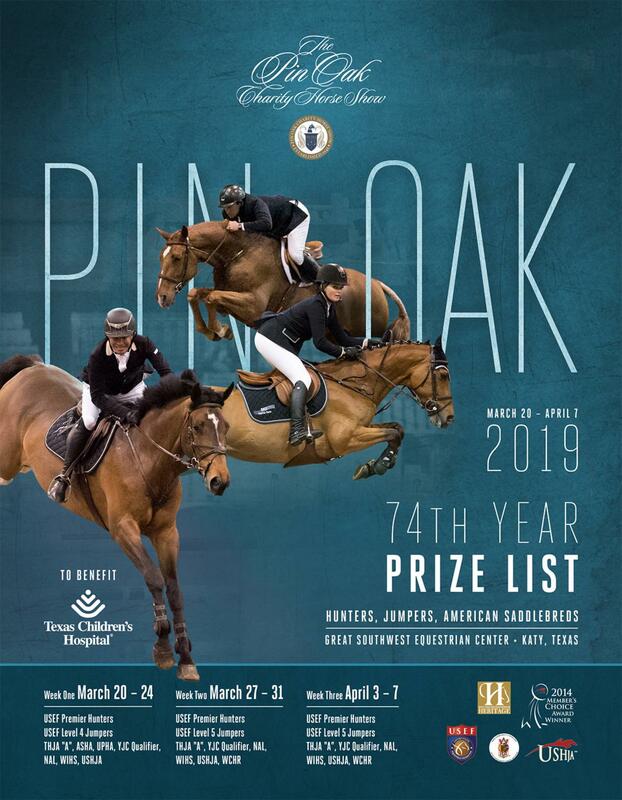 The Pin Oak Charity Horse Show is well-known in the Houston community, founded in 1945 by renowned Houston philanthropist, J.S. Abercrombie. We estimate over 10,000 people come to the show in the two week period. Many originate from the Katy area, a picturesque and affluent community where Great Southwest Equestrian Center located with a local population of 134,000. Since the beginning of Pin Oak, the event has had a reputation for being one of the top social events in the Houston community. We have many ringside dinners, parties and sponsor events. 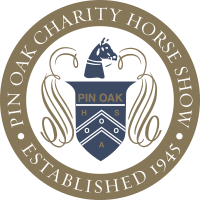 The Pin Oak Show has enjoyed strong corporate support from numerous sponsors over the years.